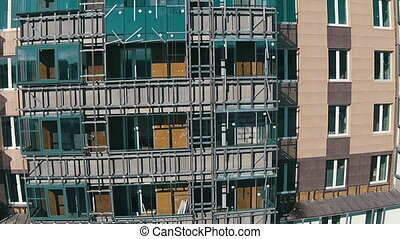 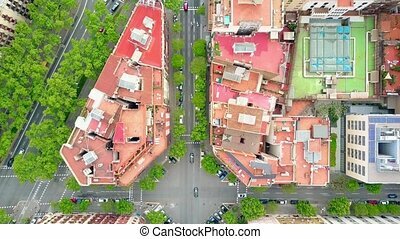 Aerial flight residential houses. 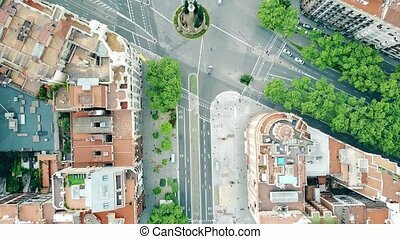 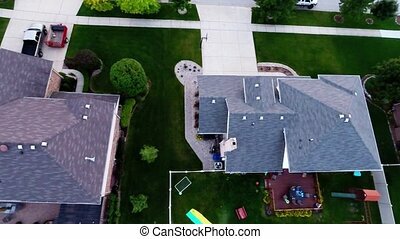 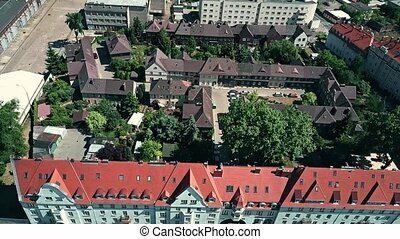 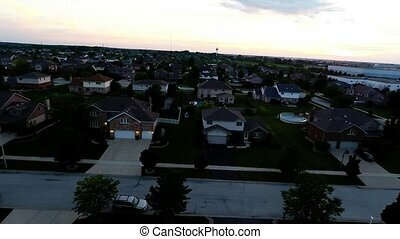 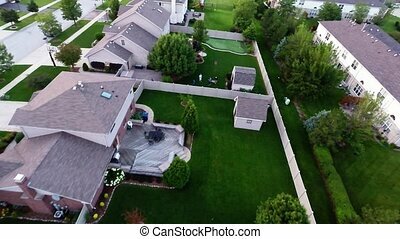 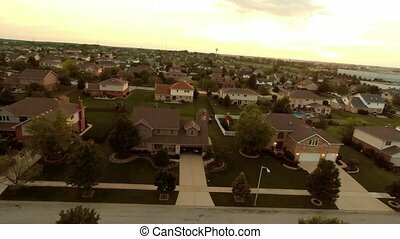 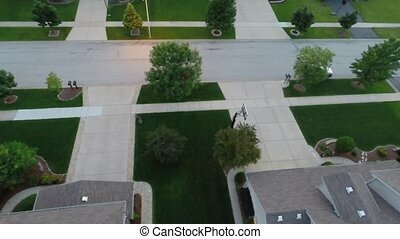 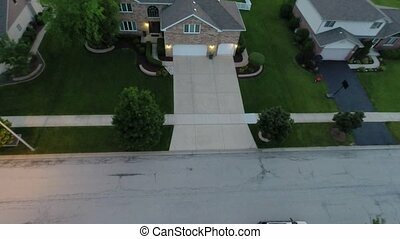 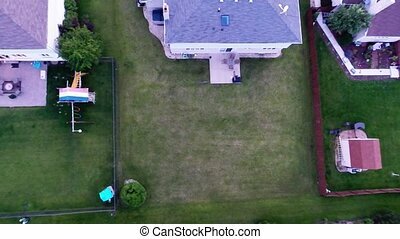 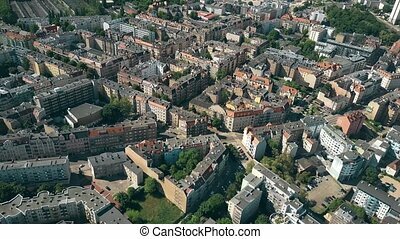 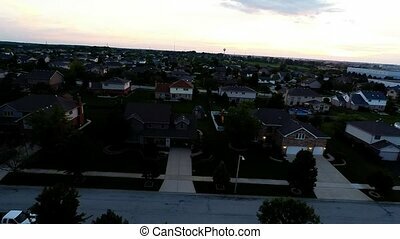 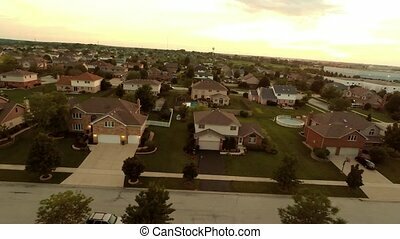 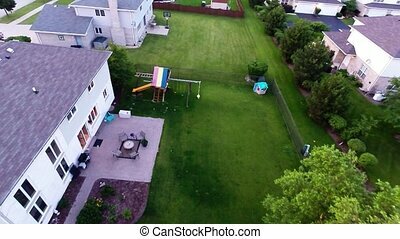 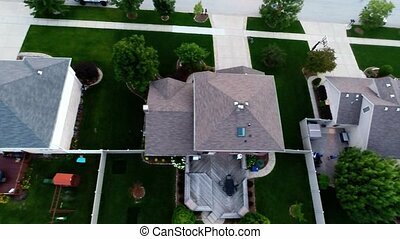 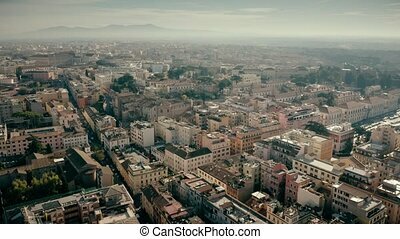 Aerial view houses in residential suburban neighborhood with backyard landscape and rooftops. 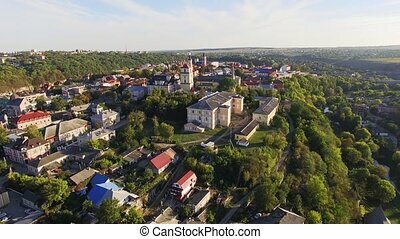 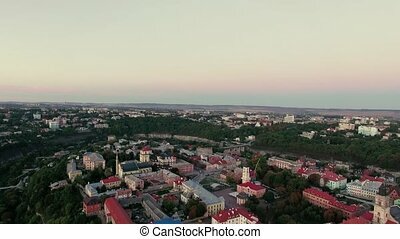 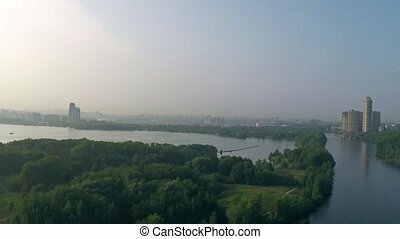 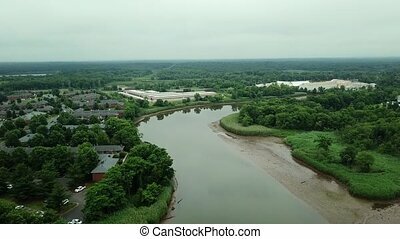 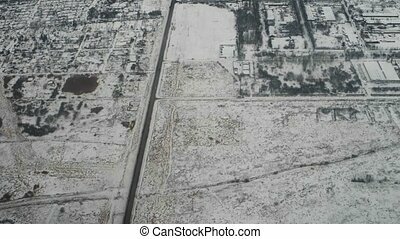 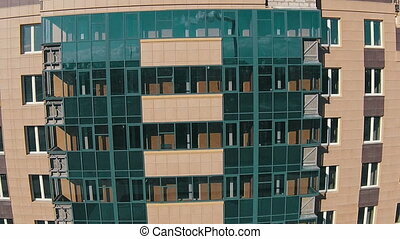 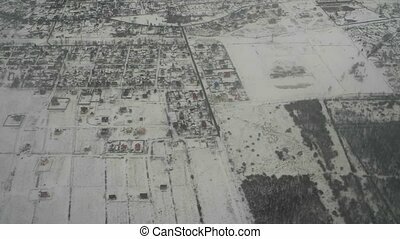 Moscow Region Suburban residential neighborhood houses district aerial view. 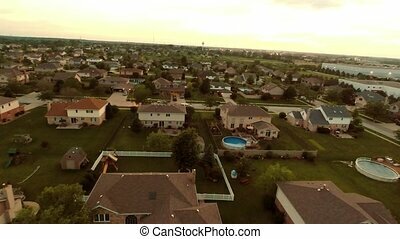 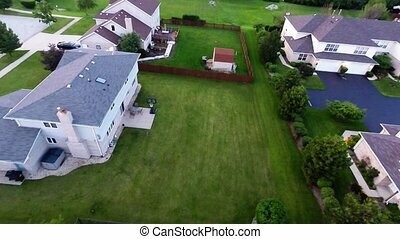 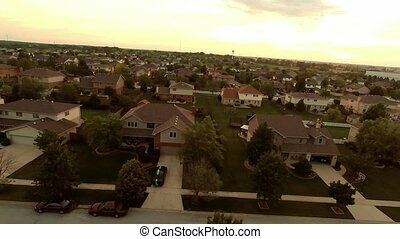 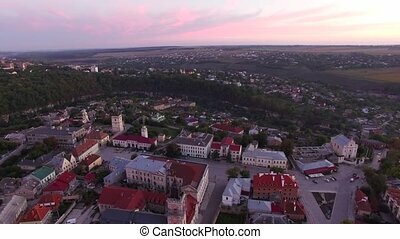 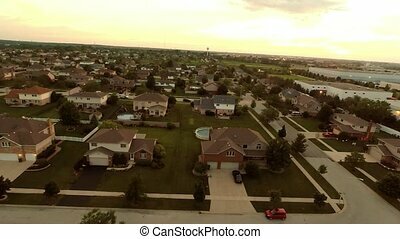 AERIAL Flight over suburban houses, yards and cars along suburban streets in countryside.